Thomas Gray (1716-1771), the poet, historian and scholar, who is best known as the author of 'Elegy Written in a Country Church Yard' (1751), was one of the first major literary figures to visit, and write about, the Lake District. 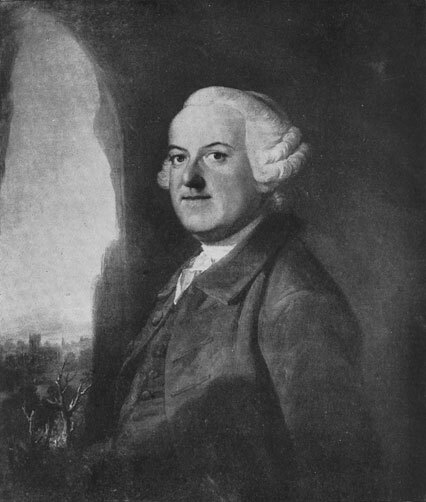 Gray tried to make a tour of the region in 1767 but it had to be abandoned after his friend and travelling companion, Dr Thomas Wharton, became ill with asthma at Keswick. This brief encounter with the Lakeland landscape made a significant impression on Gray, who described the journey as 'charmed' and vowed to return 'at the first opportunity' (p. 977). Such an opportunity did not arise until two years later, in the autumn of 1769, but Wharton was again taken ill and forced to return home. This time, Gray elected to continue alone and on 30th September he set out on a 14-day tour of Cumberland, Westmorland and Yorkshire keeping a detailed written account for the benefit of his absent friend. This account, known as Gray's 'Journal of his Tour in the Lake District', was published posthumously in 1775 and became one of the eighteenth-century's most popular guides to the Lakes. Gray and Wharton travelled to the Lake District from Durham entering, what is now the National Park, from the east. Having parted company with Wharton at Brough, Gray journeyed north to Penrith arriving just in time to dine 'on trout and partridge' with his landlady and to take an afternoon walk up beacon-hill to catch a glimpse of Ullswater in the distance (p. 1076). The following day, Gray set out to see the lake more closely and after walking 'over a spongy meadow or two', found an elevated point from which he viewed Ullswater 'majestic in its calmness, clear and smooth as a blew mirror' (p. 1077). After spending another night at Penrith, Gray then travelled to Keswick where he stayed from 2nd-8th October, making visits to Derwentwater, Grange, Crow Park, Borrowdale, Castlerigg and Bassenthwaite. Keswick was the physical and imaginative centre of Gray's Lake District and, during the six days that he spent in 'the Vale of Elysium' (p. 1079), he encountered some of the region's most dramatic scenery and recorded some of his most memorable responses to the landscape in the 'Journal'. It was here, for example, that Gray penned the famous description 'the jaws of Borodale' (p. 1079), which is still quoted in guidebooks today. Following his extended stay at Keswick, Gray journeyed south to the 'little unsuspected paradise' of Grasmere (p. 1099). From there, he went to Ambleside where he intended to rest overnight but 'on looking into the best bed-chamber dark & damp as a cellar grew delicate, gave up Winandermere [sic] in despair' and continued to Kendal (p. 1099). 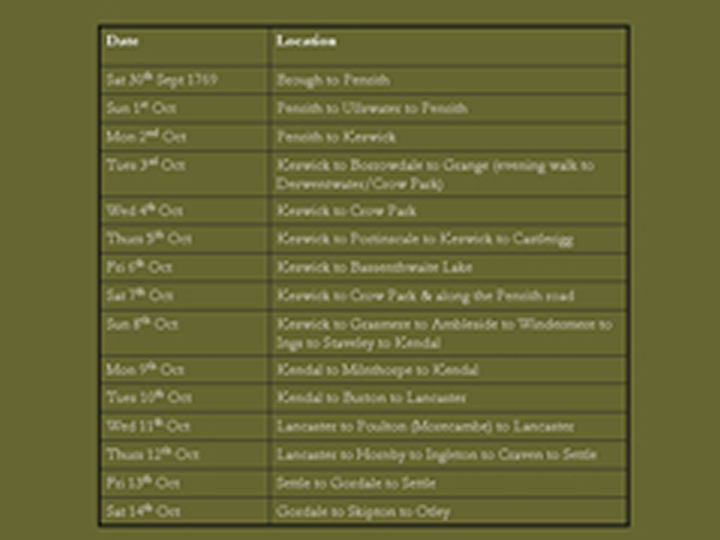 Gray stayed two nights at Kendal before setting out for Lancaster on 10th October. He left Lancaster on 12th October and spent the final days touring the Yorkshire villages of Settle, Gordale, Skipton and Otley. Dept. of English & Creative Writing, Bowland College, Lancaster University, Lancaster, LA1 4YT.